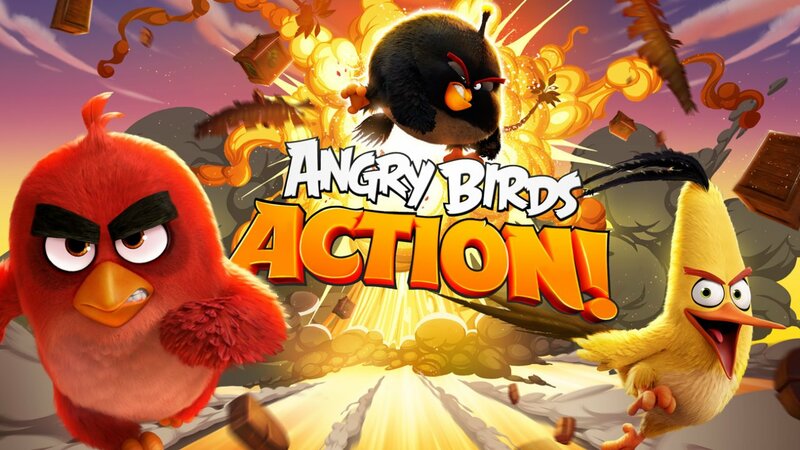 Angry Birds Action is the hot new title from Rovio, and it combines Angry Birds' signature physics-based gameplay in an approachable pinball-esque arena. Players are tasked with knocking down obstacles and collecting coins amidst several areas that might look familiar from the Angry Birds Movie. The game is easy to learn, but as the difficulty begins to spike in later levels, players may soon be left needing tips and strategies to get ahead. Don't worry, though, because we've got all the essential tips players need to make the most out of their game. Every level to be found within Angry Birds Action has its own objectives as well as obstacles that stand in a player's way. It isn't always easy getting past all the traps and barricades, but the challenge can be mitigated by choosing the right bird -- and assuming that bird has already been unlocked. For any level that has fans, moving candies, and/or saxophone-playing birds, players will want to use Chuck. He's yellow and he moves extremely fast, meaning he is less affected by wind and by moving objects. On the flip side is Terence, the gigantic, massive bird. He is affected by fans, but his enormous size and considerable damage makes mincemeat out of rocks and wooden objects. Last up is Bomb, and as his name suggests, his function is obvious: he explodes on impact. He's a very slow-moving bird, which makes him precarious to use on windy stages, but he can easily break his way through tough obstacles like rocks and ice formations. Smashing is the name of the game in Angry Birds Action, and players will no doubt immediately notice that the game sets up a few ideal lines for the players through clear-cut rows of coins and other obvious targets. While these lines are sometimes ideal, other times they distract from even better routes to take. Players would be smart to have a look over an entire level before sending off their first bird. And while collecting candy is the overt goal, breaking up big groups of obstacles will net players higher scories and more coins, which will ultimately lead to more rewards. The best routes, then, are those that combine the level's objectives with the highest possible amount of destruction. Collecting moviing objects in Angry Birds Action can be quite a chore, but there's one way to make collection way easier: freeze time. Any time a player pulls back a bird to launch, time freezes, and pulling back the bird right as the moving object comes into range helps line up a much cleaner shot. Birds can also be used to bank shots off of walls, something players might recognize from Angry Birds Stella Pop. While birds like Bomb or Terence can smash through clusters of obstacles, sometimes the smarter bath means banking around those obstacles entirely. Banking is simple: players just need to pull back and launch their bird toward a wall. Players can also equip their birds with a beachball to exaggerate the banking effect. Aching for more mobile phone fun? Check out our list of the Best Android Games.